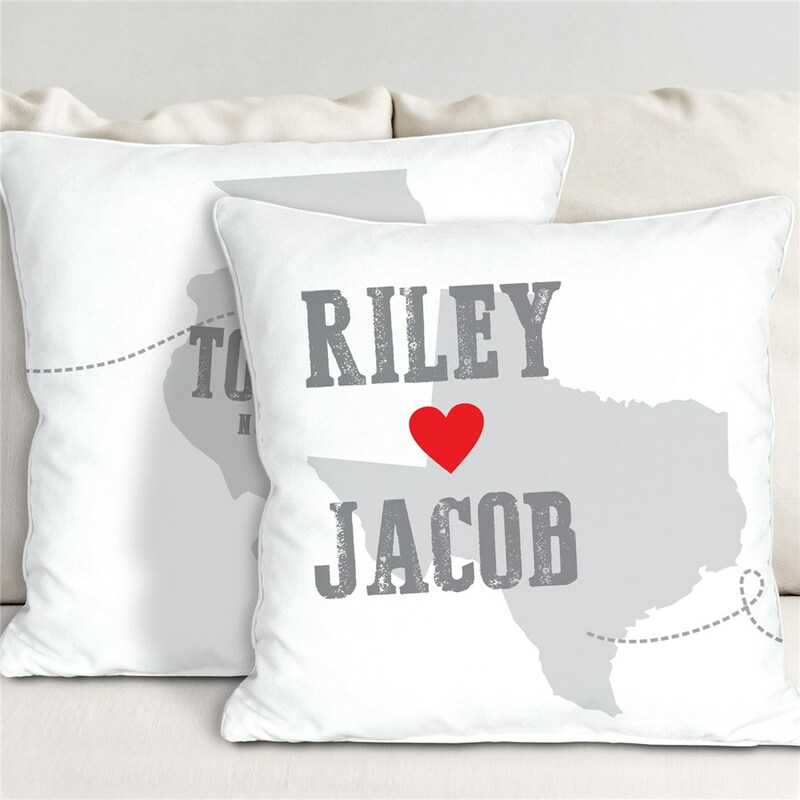 Despite the distance between the two of you, where miles or states, these personalized throw pillows will ensure that you're always on each others minds. 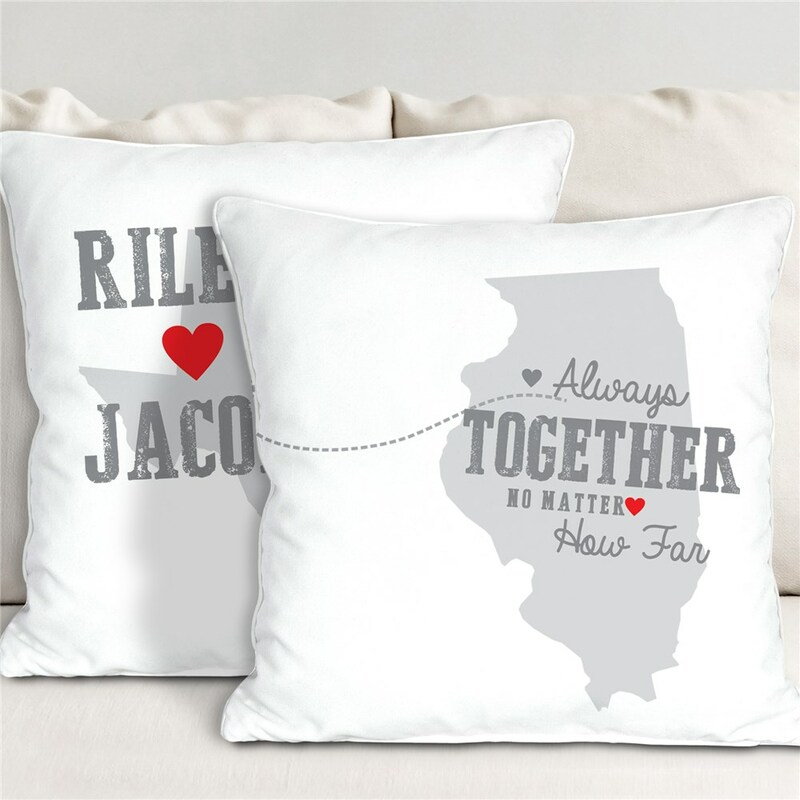 This is the perfect Personalized Long Distance Valentine's Day Gifts, Christmas or birthday gift idea for the couple who can't see each other in person as often as they like! It is romantic, customized decor that will be a sweet reminder of your loved one every day. Personalization of any two names and two states are included.